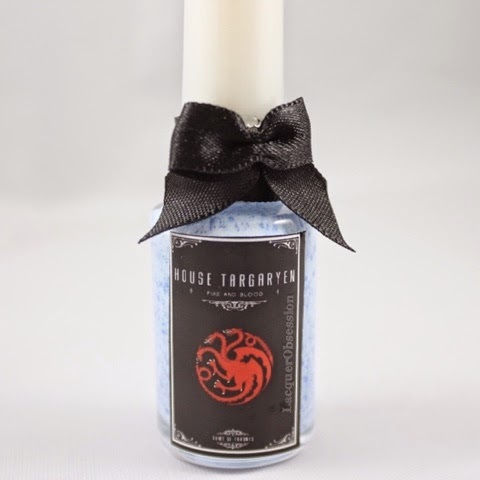 Boldness amongst the delicate, just like Daenerys Targaryen; That is how I see this color. 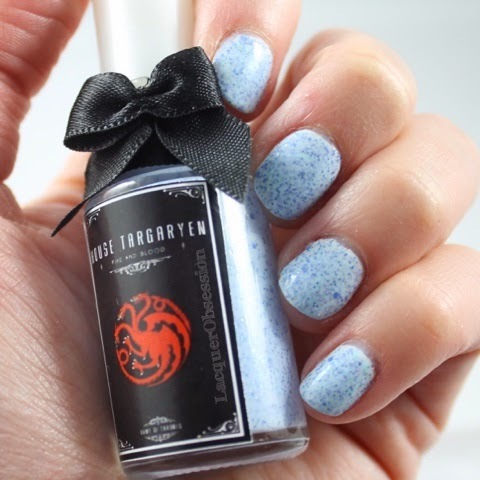 "House Targaryen" is a light blue with small specs of both glitter and mutiple tones of blue. Application: The consistency of the nail polish is a little thick but still applies even. As with a lot of light colors it is a little sheer and to avoid several layers I used OPIs "Natural Nail Base Coat". 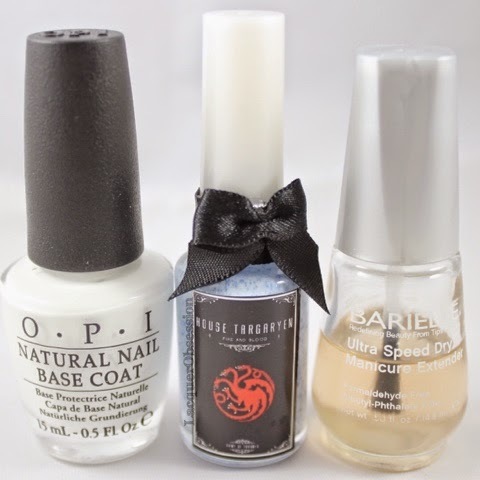 I purchased "House Targaryen" from Color4Nails for $7.